Most of us, if not all, has at least felt threatened by a dog at one point or another. 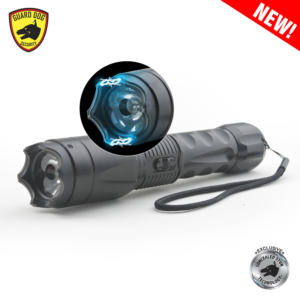 Dangerous dogs are likely to be loose in several communities, and yours may be included. Dog attacks can cause severe injuries and sometimes even kill people. 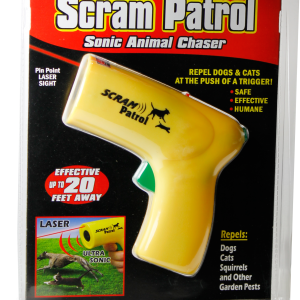 Bringing dog repellent that is EPA approved is one of the best ways to control canine aggression. 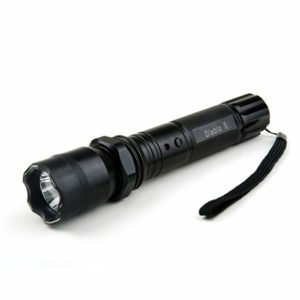 Other products to consider are our stun guns with super bright LED flashing strobe, which can confuse the dog. 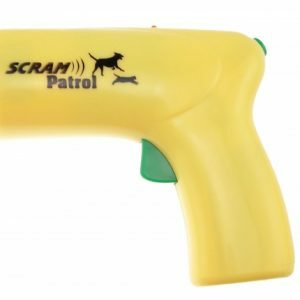 Pressing the stun gun button a couple times allow electrical charge hits ultra-high frequency sound waves that the dog can hear. Upon hearing it, most dogs would immediately turn tail and walk or run away. 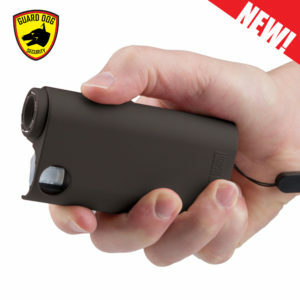 If the dog gets any closer, use the stun gun. 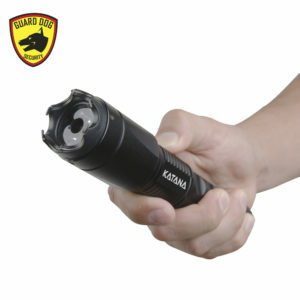 A Taser gun is also an effective defense weapon against attacking dog. 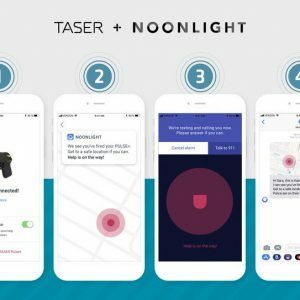 Police officers usually use a Taser pistol to stun the dog before approaching and tying it up. 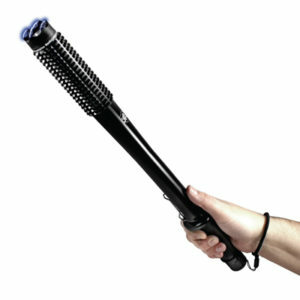 Stun baton is also an ideal stun gun weapon to use on a dog. 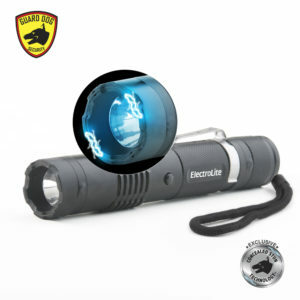 It offers extra distance between you and the dog. 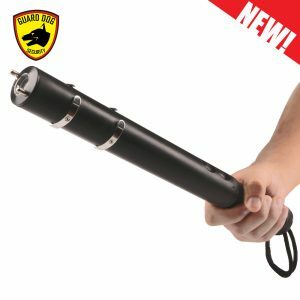 Choose a stun baton that is made of durable material so that you can also use it to hit the attacking dog whenever you feel it is needed. 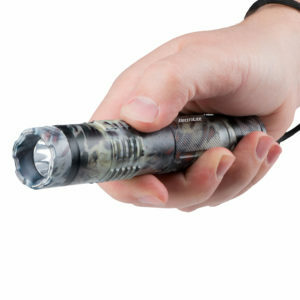 Before purchasing a stun gun or stun weapon, check your area’s regulations as some restrict the use of an electric gun. A dog is a man’s best friend but the number of dog attacks and dog bites in the U.S. is alarming. 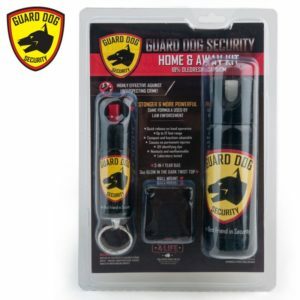 The Center for Disease Control (CDC) has statistics showing that nearly 5 million Americans encounter dog attacks annually with close to a million of them requiring hospitalization. 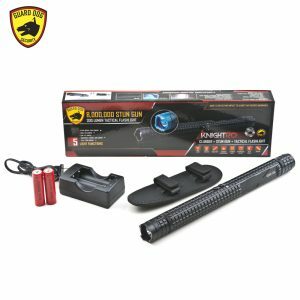 This is where our non-lethal self defense equipment against dog attacks come in. 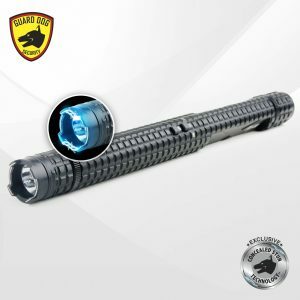 We have a range of legal self defense weapons to protect you and your family against dog attacks. 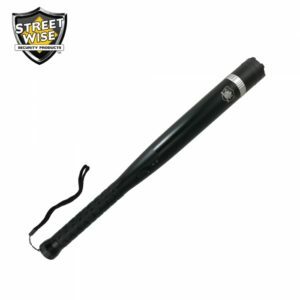 These group of personal protection weapons are meant to provide you enough time to escape a potentially deadly situation and get help. 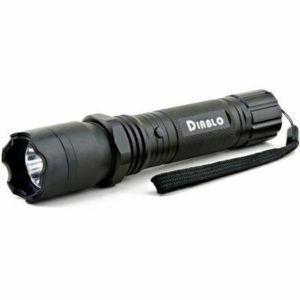 Law enforcement agencies have been using non-lethal personal defense weapons for criminal apprehension and crowd control. 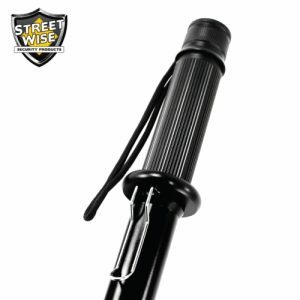 They employ self defense tools to use a minimal amount of force while still achieving their goal. 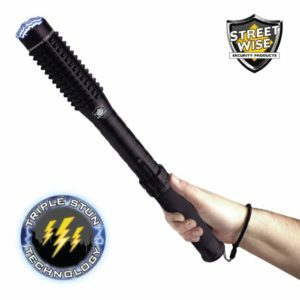 Non-lethal self defense products work in different ways. 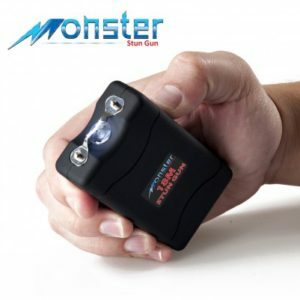 Stun guns offer up to 10 minutes of time for the user to escape by disabling an attacker. 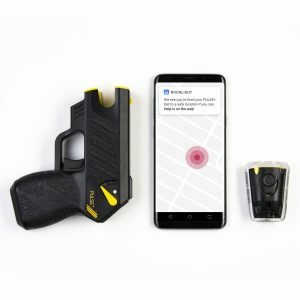 Meanwhile, pepper sprays will give excessive tearing of the eyes of the assailant, coughing, choking, shortness of breath and pain for around 30 minutes. 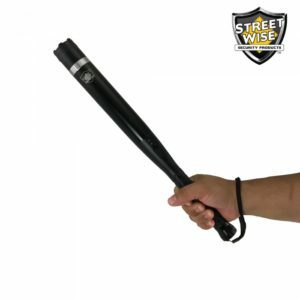 Stun batons and pepper sprays are two of the most effective non lethal weapons against dog attack. 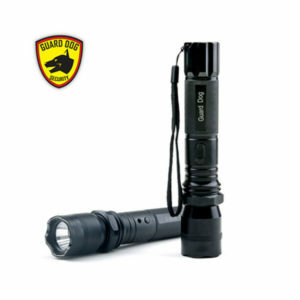 They are equally effective against dog and human attacks and can work against multiple attackers. 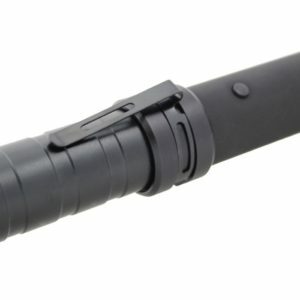 These self defense items are proven effective to help people live through a dog attack. 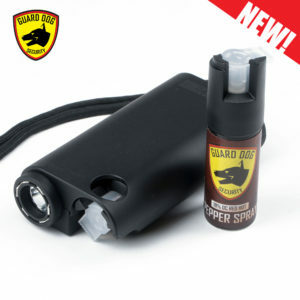 Pepper sprays are easy to carry in your pocket when you are jogging, going for a walk or cycling. 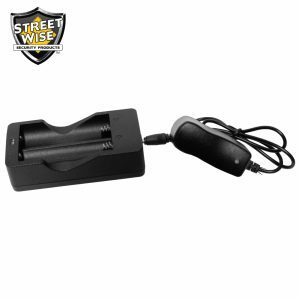 They work from a distance, which will keep you from having to get too close to an enraged dog. 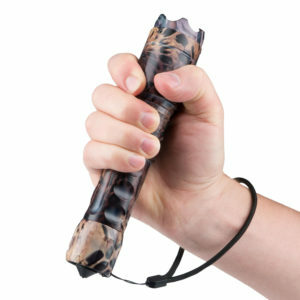 Stun batons are also effective self protection weapons against a dog or a pack of dangerous dogs that are giving chase. 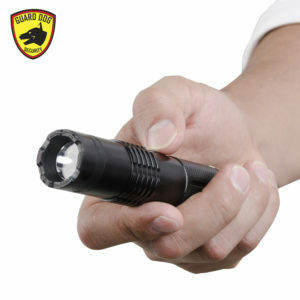 If you notice a threat is coming, push the stun button to make a loud crackling noise. The noise is usually enough for the dogs to go away from you. 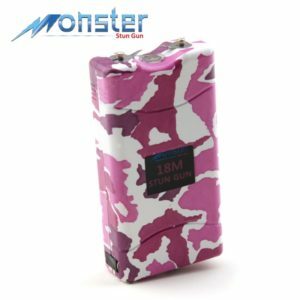 If they still come charging, you can hit them with the stun gun or swing your metal stun baton on them. 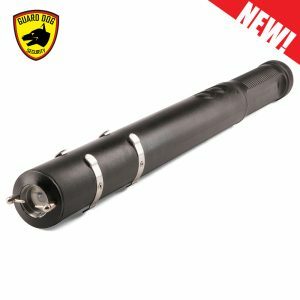 In most cases, you only need to paralyze the first dog with the stun baton for the rest of the pack to became scared and go away. 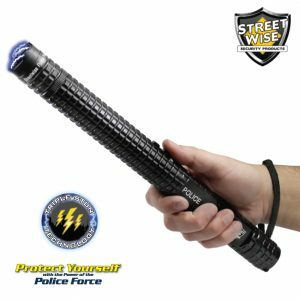 Buy Some Non Lethal Personal Protection Weapons Today! It is important to note though that preparation means more than weapons. You should always be highly aware when walking, jogging, running, or cycling outside.